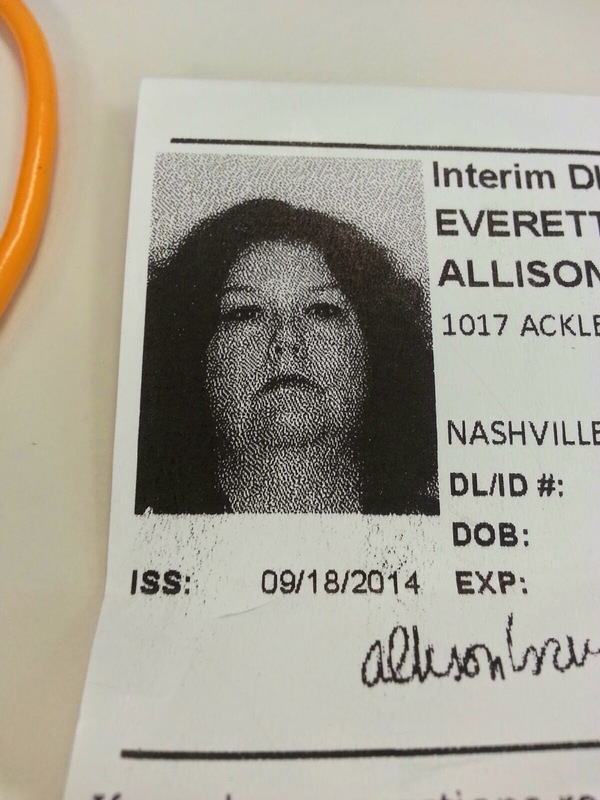 I went to get my driver's license renewed today. I needed a new picture. This is the temporary, of course - the real one, in glorious technicolor, will be in the mail within the next few weeks. Lucky me. Well, I look angry and pixelated and chunktacular. And the camera doesn't lie. So, I have my annual physical with my doctor next week. I haven't lost weight since May. Nothing. Not an ounce. So she's going to be thrilled. And maybe even yell at me. Who knows? What I can say, is that I will be asking her to do a sleep study. I feel exhausted and I'm done with all the snoring. So, that's what I'm up to. Work feels a little weird and scary at the moment - nothing specific, just a general feeling of, "all is not well". And others are seeing it too - so while it's disconcerting, I know I'm not alone.